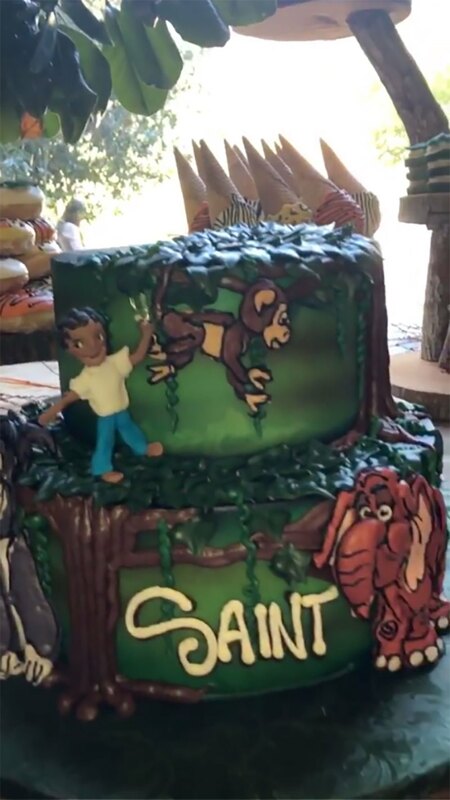 The Kardashian gang go BIG when it comes to birthday parties and the bash they threw for kiddos Reign and Saint on the weekend was no exception. The cousins both celebrate their birthdays in December. Reign Disick – the youngest child of Kourtney Kardashian and Scott Disick – will turn four on 14 December. Saint West – the son and middle child of Kim Kardashian and Kanye West – turns three on 5 December. 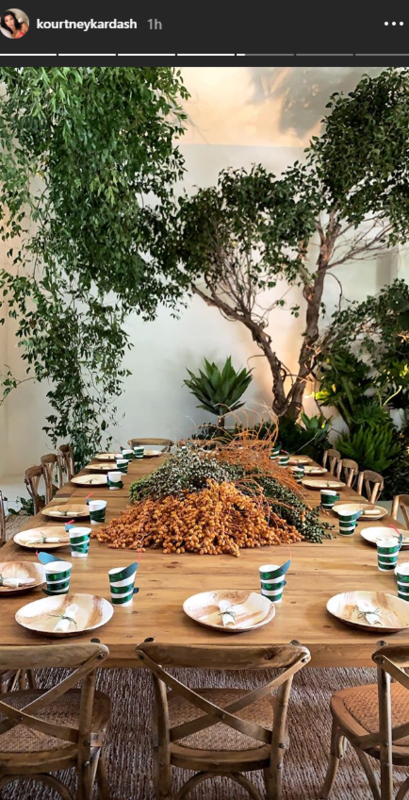 The bash was held at Kim’s place this year with the boys going for a very adventurous and lush theme. 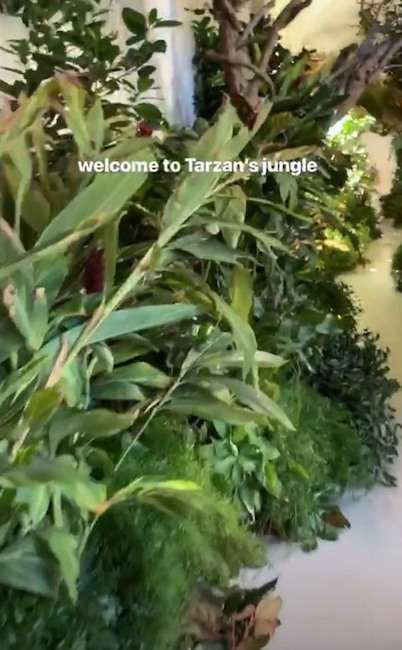 Indeed there was a sort of forest at Kim’s house – complete with full-sized trees and plants – and Instagram shows a real-life monkey also turned up. 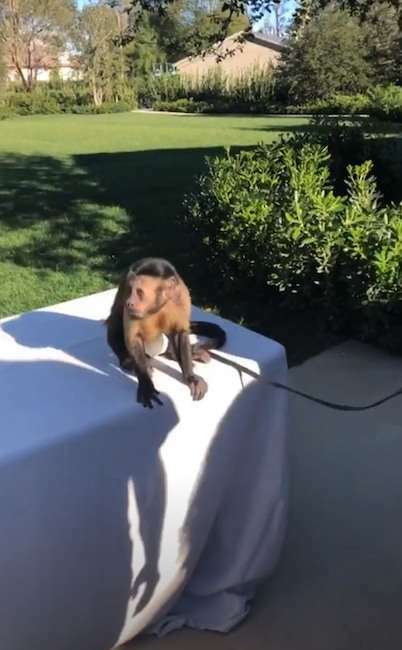 The boys each had their own cake and the party table was groaning with delicious-looking desserts as is always the case at Kardashian events. 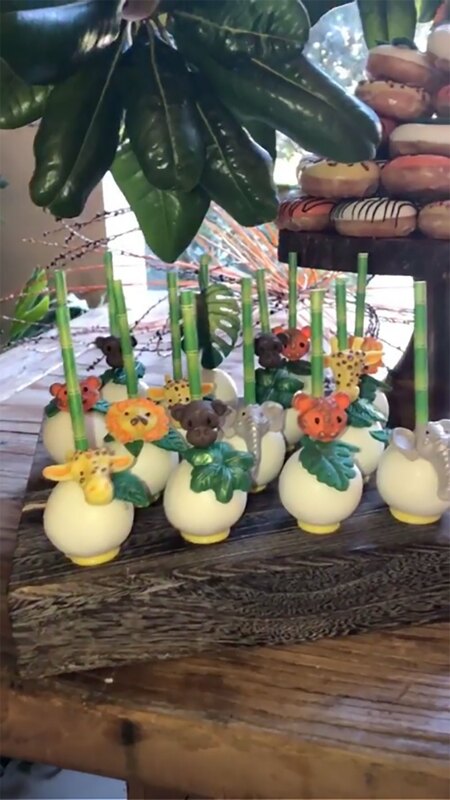 There were Tarzan cookies, jungle-themed cake pops and amazing jungle doughnuts too. And that’s just for starters. 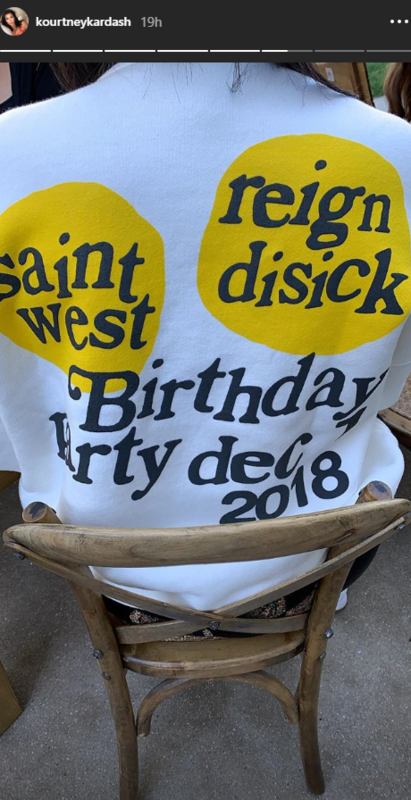 “Today is Saint and Reign’s birthday party and we have merch shirts for them,” Kim explained on Instagram noting the tees were a cute collaboration Kanye’s brand Yeezy and his buddies Cactus. 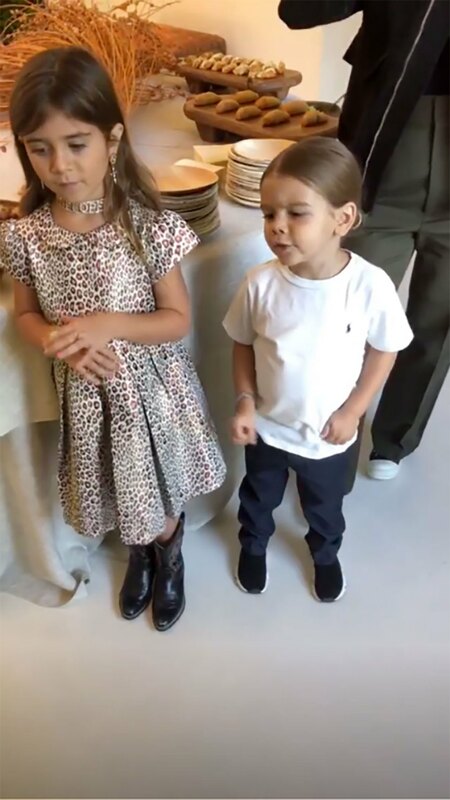 Photos show five-year-old North West and six-year-old Penelope Disick celebrating their brothers’ birthday in crafty style. Penelope wore an animal print dress, custom name choker and cowboy boots. 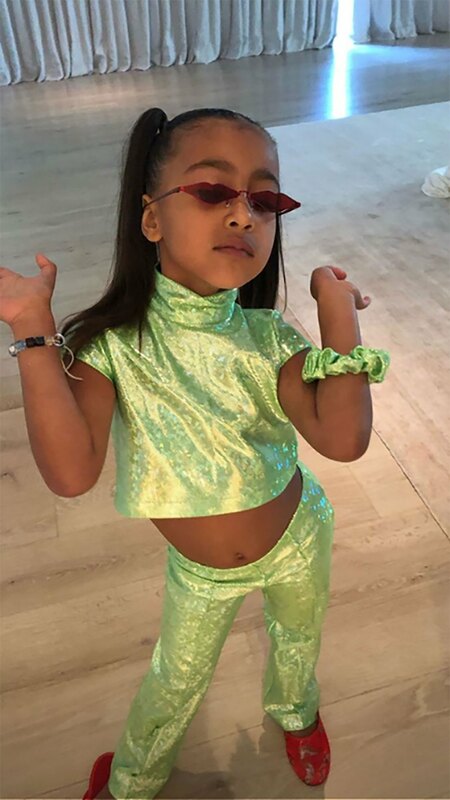 North wore a glittery neon crop top with matching pants. Saint can be seen in a video of the assembled guests singing Happy Birthday, a rendition sung in the usual tuneless style of your average partygoers. #StarsTheyreJustLikeUs! Scroll on for lots more party pics! Happy birthday to Saint and Reign!